Leigh Griffiths scored in a third consecutive game as Celtic restored their 11-point lead at the top of the Ladbrokes Premiership with an ultimately nervy 2-1 home win over Dundee. The 26-year-old striker, who had netted against Partick and Hamilton after regaining his starting position, notched his 12th of the season with a stunning free-kick seconds before the interval. Midfielder Nir Bitton curled in number two for the dominant home side in the 56th minute but Dundee striker Marcus Haber reduced the deficit in the 68th minute to make the final stages less comfortable than it should have been for the champions. Brendan Rodgers' side have now gone 20 games unbeaten domestically - they have dropped only two points in the league - and have two games in hand over second-placed Rangers, yet on this occasion Dens Park boss Paul Hartley will believe his visiting side might have snatched a point late on. Rodgers, trying to manage a hectic fixture list which sees Celtic play nine games in December, was forced into one change with captain Scott Brown suspended, fellow midfielder Stuart Armstrong taking the armband. However, the Northern Irishman made five changes in total with Ryan Christie making his second league start of the season and Cristian Gamboa, Emilio Izaguirre, Bitton and Gary Mackay-Steven also coming into the side. In-form Griffiths was preferred to Moussa Dembele, who was a substitute, while winger Scott Sinclair was also on the bench after recovering from a hamstring complaint. Griffiths almost broke the deadlock in the 10th minute when he played a one-two with Bitton following a well-worked corner with Christie which got him in behind a dark blue wall of defenders, before sending a left-footed shot crashing off the post. 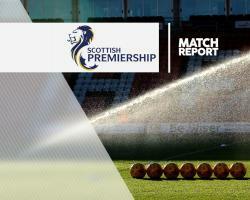 With Dundee camped at the edge of their own penalty area, keeper Scott Bain then pushed away a 25-yard from Armstrong before Tom Rogic missed a great chance when slipped through by Christie, lifting the ball high over the bar from eight yards. The Taysiders offered little going forward. Midfielder Tom Hateley blasted a shot over the bar from 25 yards in the 25th minute before Kevin Holt narrowly missed the target with a decent drive. It looked like Dundee would go in at the break with their goal yet to be breached but captain Darren O'Dea clattered through Rogic 25 yards from goal, picking up a booking from Bobby Madden for his trouble, before Griffiths curled the free-kick past Bain. Rogic had limped off and failed to appear after the break, his place taken by Callum McGregor who joined his team-mates in the second-half assault on the Dundee goal. After the Taysiders repelled another attack in which Christie was again influential, the ball broke out to Bitton who studiously curled a right-footed shot from outside the box into the net for his first goal of the season. The Dens Park side had little option but to open out and they came close in the 67th minute when Haber headed a Hateley corner off the post, with Craig Wighton's close-range shot on the follow-up cleared off the line by Armstrong. The champions did not heed the warning and moments later Canadian striker Haber took a pass from substitute Mark O'Hara, turned inside Gamboa and his deflected shot from 12 yards ended up beating Hoops goalkeeper Craig Gordon. After Griffiths screwed a shot wide of the target he was replaced by Dembele - Sinclair was already on for Mackay-Steven - as Rodgers looked to ease any nerves with another goal. In the final stages every Dundee attack brought a sharp intake of breath from the home support and in the 87th minute substitute Faissal El Bakhtaoui, on moments earlier for Hateley, broke through the Hoops defence but blazed his shot over the bar and with that the opportunity to grab an unlikely point was gone.